it has cooled off a little bit. A friend of ours was married this past Saturday, on the hottest day we have had all year! Of course, the reception was outside... Despite the heat, the wedding was beautiful and we all had so much fun at the reception! about how nice it is going to be to really slow down the next two weeks. I've already cancelled the last golf camp the kids were going to attend, and so far we don't have anything scheduled other than attending Mass. I want the kids to have plenty of time to just play outside during these last couple weeks before school starts, and I'm hoping to have the time to finally finish our plans for this coming year. that God always provides! I wasn't sure how we were going to pay for all the medical bills I wracked up last month (on top of our school book orders), but we now have just enough thanks to some overtime Hubby is working, and all of your book purchases. Thank you! the kids are still working on Math everyday. The boys are getting close to finishing, and the girls are getting a jump start for this coming year. Other than that we are still reading some books for our Olympics Unit Study, but watching clips on youtube is just not the same as watching it live... I sure wish there was a better option for those of us without cable and/or tv reception... oh well. the feast of St. Clare is coming up this weekend! Since St. Clare is the patron saint of embroiderers, I printed off Charlotte's Saints 'N Stitches pattern for St. Clare. I embroidered a couple saints back when the girls were making there way Along the Alphabet Path, but now I think they are old enough to embroider one on their own. We'll start this weekend and it will be a perfect project for them to continue this coming week here at home. Our pastor came over for dinner Wednesday night, for the first time! (We had invited our newly ordained parochial vicar as well, but it somehow didn't get on his calendar and he wasn't able to make it after all.) We ended up serving Teriyaki Pork Tenderloin, along with Roasted Brocolette & Garlic, Sautéed Summer Squash, Garden Salad with those fresh picked tomatoes, and Dinner Rolls. 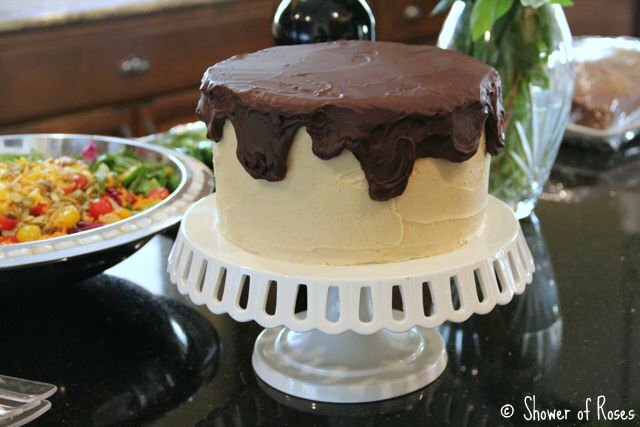 another Chocolate Peanut Butter Cake to serve with Vanilla Ice Cream for dessert! YUM!! The ganache hardened way too quickly, and didn't drip down the sides very well, but it tasted amazing! 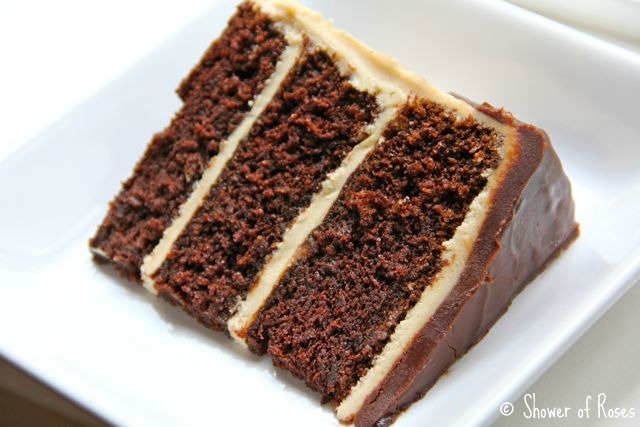 Sour Cream-Chocolate Cake, made from scratch, topped with Cream Cheese Peanut Butter frosting and Chocolate Peanut Butter Ganache... Yumm! Totally worth cheating on a diet to eat a piece!!! Now someone needs to get the leftover cake out of my house! staying out of my laundry room - away from our extra fridge and all that leftover cake... Good thing I'm caught up on laundry at the moment! 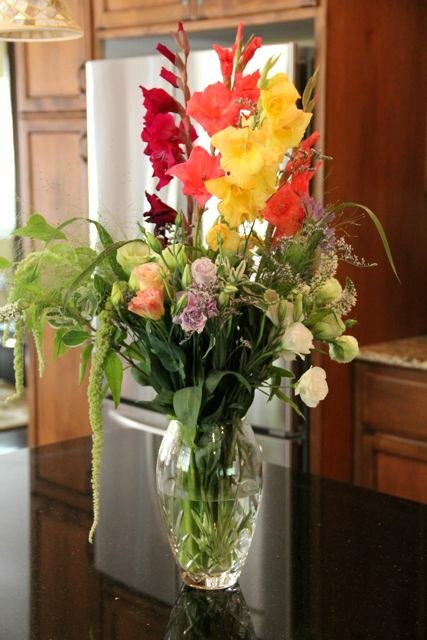 to make it to the Grower's Market again tomorrow morning. I'd have to take all the kids, since Hubby will be working all day, but it has been so nice to have all the extra produce in the house each week. 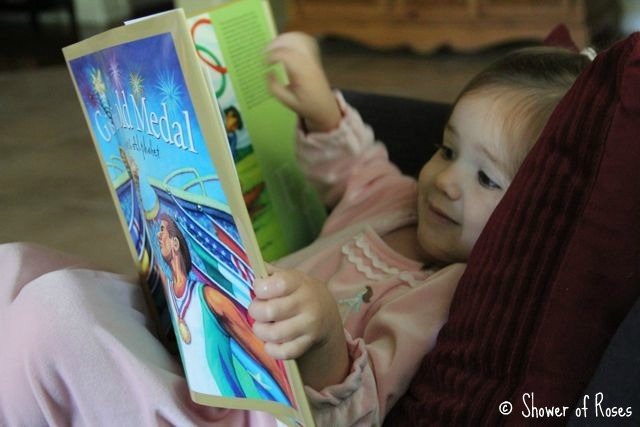 We are all really enjoying G is for Gold Medal. One of our favorite little tidbits of information that we have learned from this book was about all the "Extinct Events." My kids have been having their own backyard Olympics, and including some of these extinct events! like motorboating, rope climbing, croquet, and tug-of-war." for my husband, and a job interview he has coming up on August 14th. Not only would the job be a promotion, it would also possibly allow us to transfer to an area with a traditional parish that offers the Extraordinary Form of the Mass - something he has been praying for since he married me and got stuck here for years! to Roses for Mamma. My boys heard it playing awhile ago on one of our Pandora radio stations, and Captain said it is his "new favorite song, even though it is so sad." When it played again this past week Captain came running to pull me into the living room and listen to the whole song. It really is such a sad song, but so sweet too. clean floors! I just finished sweeping, mopping, and vacuuming the whole house. With our little guy crawling all over the place, I've been cleaning the floors much more frequently! garden salads during the summer! 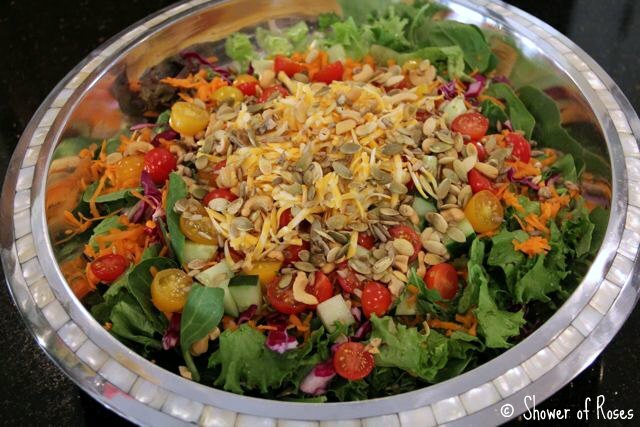 My favorite salad is inspired by the "side salad" at an awesome little restaurant nearby, made with a mixture of romaine lettuce, spring mix, red cabbage, grated carrots, cucumber, Colby-Jack cheese, tomatoes, and a mixture of raw cashews, honey-roasted sunflower & pumpkin seeds. Yum! I prefer Honey Mustard dressing, but lately have been opting for just olive oil and balsamic vinegar or Bragg's Healthy Vinaigrette. 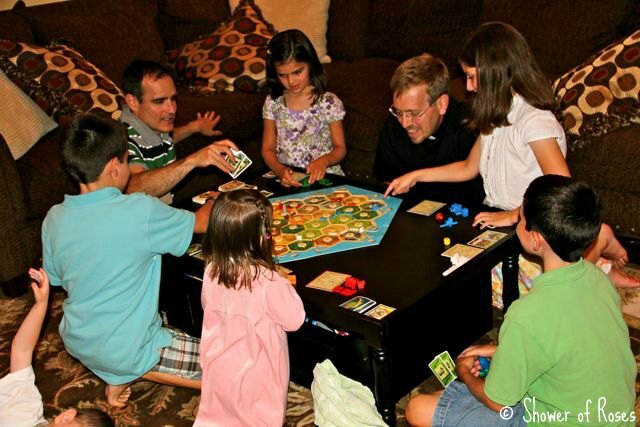 The kids all had so much fun teaching Father how to play Settlers of Catan after dinner. Oh, Jessica. That was a cruel thing to do to a hormonal preggy mom. Of course I followed the link over to hear that song. And of course I am bawling. I guess you did warn me that it was sad. Settlers is such a fun game. Our family loves playing it as well. We'll have to pull it out this weekend. I will be keeping your husbands intentions in my daily prayers. I totally agree about the olympics. This is the ONLY time I wish we had television (well... I kind of wish it about the election debates, but maybe I'm more sane because we DON'T watch those, lol). Watching clips online just isn't the same with the olympics- especially because the video titles tell us who won! I'm impressed that your kids play Settlers. Andy and I love it but I'm not sure my two younger kids would "get" it. Maybe Prim would, though. Have you seen the Kids of Catan game? Do you know if it's any good? I would think that Prim would be able to play, for sure! Our girls enjoy trying to play, but sometimes don't make the best decisions on where to build, etc, so they haven't won a game yet. The other night Rascal (age 10) was very excited to win for the first time - fair and square! I've seen it before online, but we don't have the Kids of Catan game, just the Original version and all the various expansions. I've actually been thinking about purchasing Catan: Junior for our younger children, for Christmas. We'll see. Does the potential transfer mean you'd have to move from your lovely house and property? Being in a job search, I am focusing on areas where there is a TLM, ideally, areas with an FSSP parish nearby. Not that I wouldn't attend an NO parish (I do now, with an excellent pastor), but if there's a TLM, I'll be almost guaranteed of having a good, faithful parish to attend, and hopefully, the potential to make some friends with people having the same priorities that I have in a world that is increasingly hostile and aggressive towards orthodox Christians, particularly faithful Catholics. It's a sad state of affairs for people such as us. Possibly... It has always been my husband's dream to live near an FSSP parish. The closest FSSP parish at this time is over 5 hours away, and the likelihood of having a TLM in our area is very very unlikely. This particular job is based out of an office 4 hours away, but would allow the employee to work remotely. We could stay where we are, or move to another office within this state or one other state. The other state has a couple FSSP parishes within driving distance from offices where my husband could possibly work. In fact, his youngest brother was just made pastor of one of those parishes! Oh Jessica, the salad looks delish. It's similiar to one I've been making this summer, though I love the addition of sunflower and pumpkin seeds! You've got to try this Greek dressing, if it fits into your present diet: 4 TBS red wine vinegar, 6 TBS olive oil, 1.5 tsp lemon juice, 2 TBS oregano, 1/2 tsp. salt, 1/8 pepper. Yummmm! I think I gained 10 lbs looking at your cake!! That salad, oh my--I love salads and yours is right up my ally!! That cake is beautiful!! Your layers are so even! praying for the promotion for you guys. The chocolate cake looks amazing!!! We made one similar around here and added chopped peanut butter cups on top - double yum! I have been cleaning my floors like mad too - nothing like a new crawler to make me feel like a lousy housekeeper!! But really, is it possible to keep the floor clean enough that the baby doesn't get brown knees? Definitely a downside to the no carpet thing! On your kitchen counter I see a statue that looks like st. agnes. Am I right? Where did you find that one? Yes! That is St. Agnes. It was actually a gift from a woman at church, and is an antique replica made by a local artist. Oooohh! 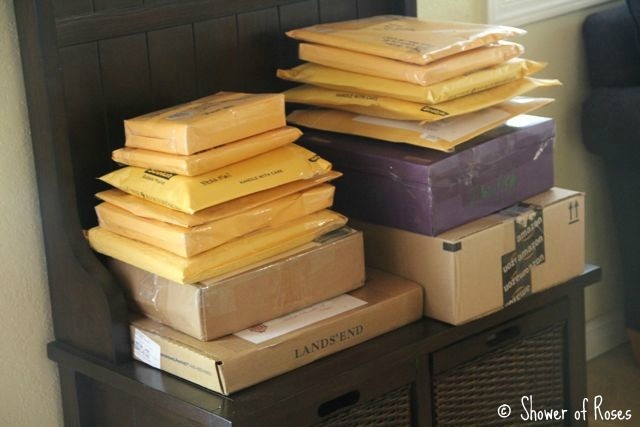 I recognize one of those packages! It arrived today. Thanks so much! Prayers for discernment and peace in the job interview process. God will provide in all things. Hey, I recognize that priest! And I can't wait to try that cake. I just followed the directions for lining the pan with parchment paper (etc), but I think that has helped me the most over the last couple years is putting the cake in the freezer prior to decorating. It really makes it so much easier!! I then do a "dirty" frost, put it back in the freezer and then touch it up with one more layer of frosting. I didn't follow the directions for the ganache- which is probably why it didn't turn out so well. I didn't want to use corn syrup, so I made mine with melted chocolate and peanut butter with heavy whipping cream. My cake was VERY cold when I poured it on top, which is why it hardened up so fast, rather than dripping down the edges. 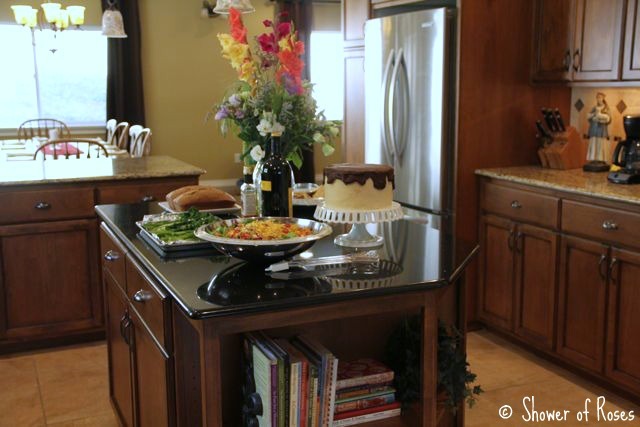 The thought of moving out of your amazingly updated house doesn't sound like a lot of fun. Praying that everything works out for your family and God takes care of the details! 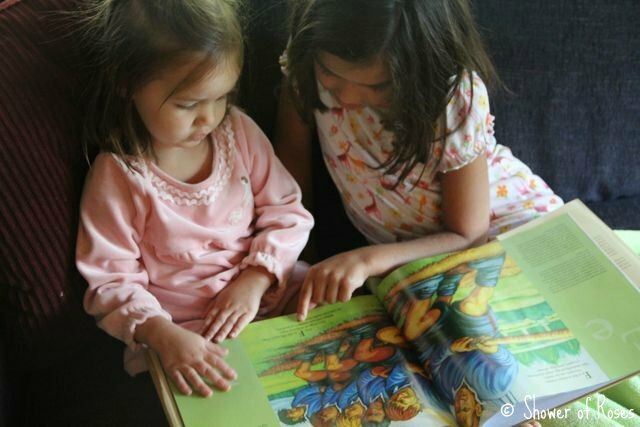 hint hint...our parish has the Extraordinary Form AND an amazing home school co-op! !